The scent of Palo Santo permeates the valley. You can catch a whiff in markets, houses, and of course, ceremonies. But did you know the Palo Santo tree is endangered? Bulnesia sarmientoi is native to Argentina, Bolivia, and Paraguay, and is a fairly small tree, growing between 7 and about 20 m high. It’s highly valued by locals in Paraguay for its medicinal properties (it’s known to heal skin wounds). It is also popular for its distinct pleasant scent and produces an essential oil that is used in perfumes. But the wood is used for much more. It has been exported from Paraguay and Argentina for use in lathe work, wood flooring, furniture, handicrafts, smoking pipes, mortars, axes and maté gourds – so no wonder this slow-growing species is now listed on Appendix II of CITES. Legally, it must be accompanied by appropriate permits in order to be legally traded, but this is rarely the case, meaning the Palo Santo you’re buying in markets here is being illegally traded. Have you considered the ecological impact of burning Palo Santo? South American shamans teach that these trees should be treated with respect and reverence, and must never be cut down. One should only harvest the wood of those trees that died naturally and have stayed on the forest floor resting for four to ten years. 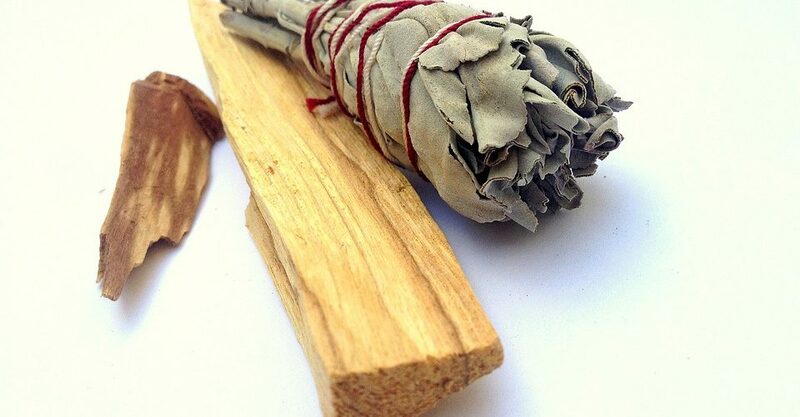 This shamanic teaching is practical as well as traditional, since the highest aromatic and therapeutic qualities of the wood can only fully develop in aged heartwood that is harvested from naturally fallen trees. But most people don’t follow this ancient wisdom – those who sell the wood for immediate economic gain will harvest from dead and living trees alike, with no regard for a resting period. This has led to severe deforestation of Palo Santo and creates the very real threat that someday there will be no more Palo Santo trees left for future generations to enjoy at all. Palo Santo harvesting used to be strictly controlled by law in Peru – only trees that had fallen naturally were allowed to be harvested. But with its increased popularity in recent years, the Peruvian government has been unable to enforce its policies to prevent over-harvesting of Palo Santo. The tree is now endangered in Peru. It’s pure economics. These trees are illegally cut down because there’s a huge global market for their wood – especially now that everyone is a self-made shaman. It doesn’t matter if the wood you buy claims to be “sustainably” harvested or not: there are simply not enough naturally fallen trees to meet global demand. If you buy Palo Santo wood from ANY source, then you are contributing to the economic incentive that drives deforestation. The wood of the Palo Santo tree is sold as a commodity, when it should really be treated as a luxury. If the price of these little sticks of wood could reflect the true cost to nature, it should cost hundreds of times more than what you pay now. The natural lifespan of a Palo Santo tree is 40-50 years for female trees, and up to 200 years for male trees. Yes, trees can be replanted. But right now we are consuming this product at a much faster rate than it can be produced by nature. It’s time to stop.